Jaundice is a common liver disorder but not a disease. Alcoholic liver disorder and viral hepatitis are the two most common diseases which result in the jaundice. There are many causes of the jaundice like too much consumption of alcohol, presence of excessive bile acid, blockage of the bile ducts due to gallstones, hepatitis, typhoid, malaria, yellow fever, cirrhosis, cholestasis, tuberculosis and anemia. You can identify the jaundice by its sign and symptoms like yellowing of the eyes,tongue and urine, weakness, headache, fever, loss of appetite, constipation, nausea and pain around the liver. 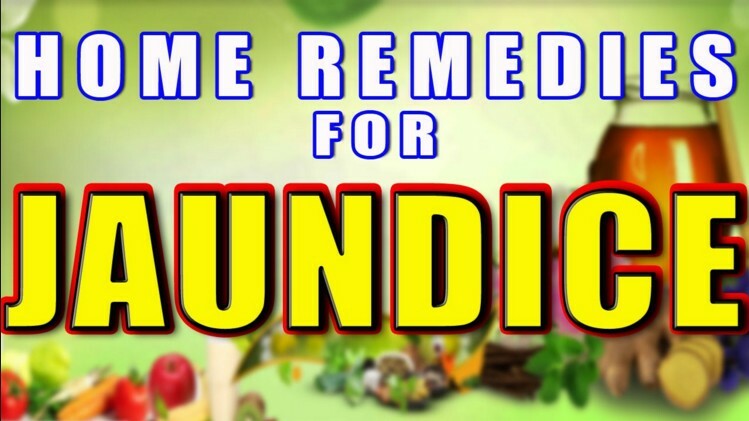 These symptoms can help you to judge for the jaundice. .
You can also treat the jaundice with the medical treatment at home because there are certain foods who alleviates the functioning of the liver and improve the symptoms of the jaundice. Definitely you have to take doctors prescription but at a point you can do some of the home remedies so that it can enhances the treatment and gives a better result. You can modify the diet and take some of the precautions to cure the Jaundice. 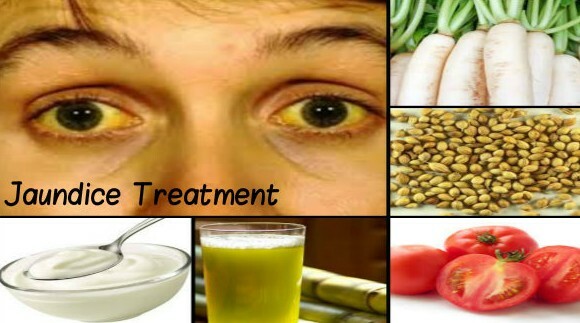 Some of the foods which can alleviate the signs and symptoms of the Jaundice so try to select the food items which can help in treating the jaundice. Boil barley in 3 litres of water and allow it to simmer about 3 hours. Drink this water as frequently as possible to come over the symptoms of jaundice. Squeeze lemon in a glass of water and drink it for thrice times in a day. Lemon has anti-inflammatory property which helps in treating the jaundice and protects the liver cells from damaged. Extract the juice from the pigeon peas leaves by crushing them and take at least 60 ml of this juice daily. Take 8 kernels, 2 dates and 5 cardamoms and soak them in water for whole night. In the next morning remove the peel and make a paste of it. Now you can add butter and sugar in it. Take this mixture daily several times in a day. Take a glass of warm and a pinch of turmeric powder in it. It is ready to drink for about 3-4 times in a day. Take pulp from the aloe vera leaves and mix it with ginger and black salt. Take this mixture every morning for 10 days and see the result. Boil snake gourd leaves in a cup of water and 10-15 coriander seeds in a half litre of water no mix these two and drink it daily to get rid of symptoms of the jaundice. Take a glass of beet root juice and mix it with equal quantity of lemon juice and drink it daily for dew days. Juice of the chicory plant including flower, leaves, roots and seeds help in the treatment of the liver problems. Extract the juice from the radish leaves around the half litres and drink it daily to get relief from jaundice. Radish leaves contains a compound which induces appetite and regularises the bowel movement. You need to add one tablespoon of the honey in the one teaspoon of the papaya leaves paste. Eat this paste regularly for about 2 weeks and get the result. Drink daily a glass of the sugarcane juice with the addition of the lime juice. Sugarcane helps in proper digestion and liver functioning so that patient can recover quickly. Take basil leaves and make a paste of it. Now add radish juice in it. Drink it daily for better result. Gooseberry is rich in vitamin C and help in alleviating the symptoms of jaundice. make a juice of the jaundice berry and take a tsp of this juice daily in a day for several times. Tea made from chamomile is very effective in curing the liver disorders and can be taken once in a day. Take buttermilk and add some black pepper and roasted alum in it . Drink it at least for thrice times in a day. Mash the ripe banana and add some honey in it. Take this twice times in a day for better result. Extract the juice from carrot and drink it daily for 2 times in a day for curing the jaundice symptoms. Extract the juice from the bitter luffa. Place the juice in the palm of the hand and draw it through the nostrils. Yellow liquid will flow out the nostrils as a result. Dried the bael leaves and grind to make a powder. Mix it with a glass of water. Drink it daily to cure jaundice. Jaundice is the disorder which can sometimes lead to death also so its better to take care the disease. Liver is one of the most important organ of our body you must take care of it. Medical treatment is an absolute important for the disorder but with that you can take some of the home remedies which are useful. You must know which foods are good for health and which you need to avoid. Home made remedies and lifestyle modification are two most important pillars for the treatment.